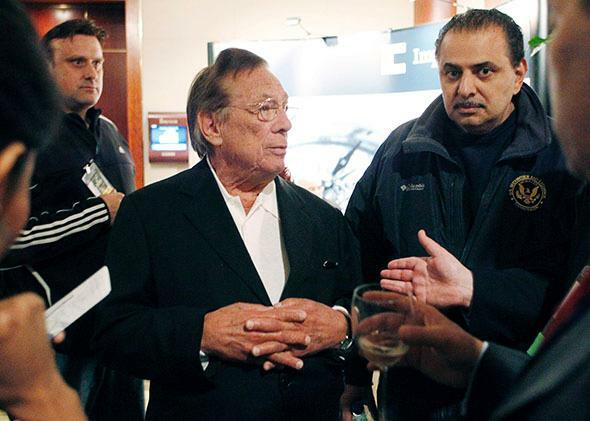 Donald Sterling racism: Yes, the Clippers owner sees his basketball team as a plantation. It’s a provocative comparison, but in this case it’s an accurate one. Donald Sterling has been banned for life from overseeing his plantation. NBA Commissioner Adam Silver did not hedge. There was nothing indefinite in his statement on Tuesday afternoon, no plea for patience while the league gathered more information. Donald Sterling has been banned from the NBA for life, no caveats, and Silver will urge Sterling’s fellow owners to push for the Clippers boss to sell his team. This is a dramatic turnaround from the NBA, a league that has tolerated Sterling’s bigotry for decades. On Monday I noted that Sterling said the following about his Clippers players in recordings released by Deadspin and TMZ: “I support them and give them food, and clothes, and cars, and houses. Who gives it to them? Does someone else give it to them?” In describing these remarks, I wrote that Sterling views the men on his roster “as tenants on a basketball plantation.” This analogy isn’t just supported by words Sterling said to his girlfriend. It’s been Sterling’s modus operandi for years, and the NBA is only now doing something about it. You don’t need to be a scholar of American history to critique the plantation comparison. NBA players make a lot of money. The owners of basketball franchises also don’t literally own their players. As the New York Times’ William Rhoden argues in his book Forty Million Dollar Slaves, “money does not necessarily alter one’s status as ‘slave,’ as long as the ‘owner’ is the one who controls the rules that allow that money to be made.” Still, I don’t believe it’s fair to label any NBA commissioner a plantation overseer, an analogy that—in that case—trivializes slavery. I don’t recall any prominent criticisms of Branch’s plantation/colonialism comparison, most likely because college sports are objectively terrible, what with the schools making millions while the athletes don’t get paid. (And no, scholarships do not equal cash.) In the case of Sterling, the plantation comparison has less to do with dollars and cents than with how he views black people. I agree with my colleague Jamelle Bouie, who argues that Sterling’s private racism is far less important than the fact that he acts on his views. Those actions include pervasive, long-running housing discrimination, including a refusal to rent to blacks and Hispanics. Sterling’s behavior, too, includes treating the employees of his NBA team as a resource to exploit, a class of people that needs to be overseen and can be taken advantage of. If you don’t catch a whiff of the plantation here, your nose is broken. It’s about time the NBA caught the scent, and gave Sterling the punishment he’s long deserved.